Large lifelike blush Dahlia blossom will add a splash of color to any setting. 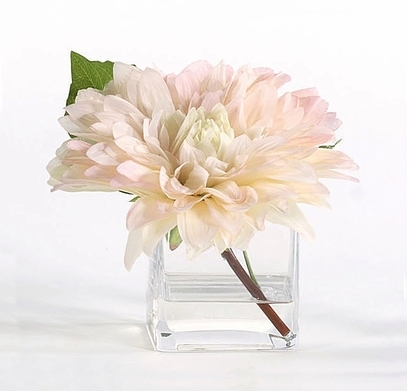 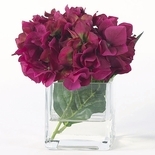 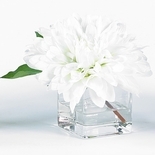 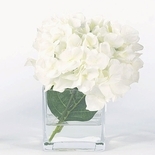 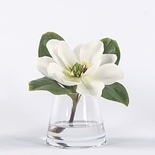 This fabric flower is showcased in a square glass vase with acrylic water. 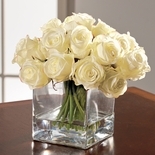 Approximately 7 ��h x 8�w.